Home / Blog / City Welcome – Where Creativity Meets Concord & 9th! 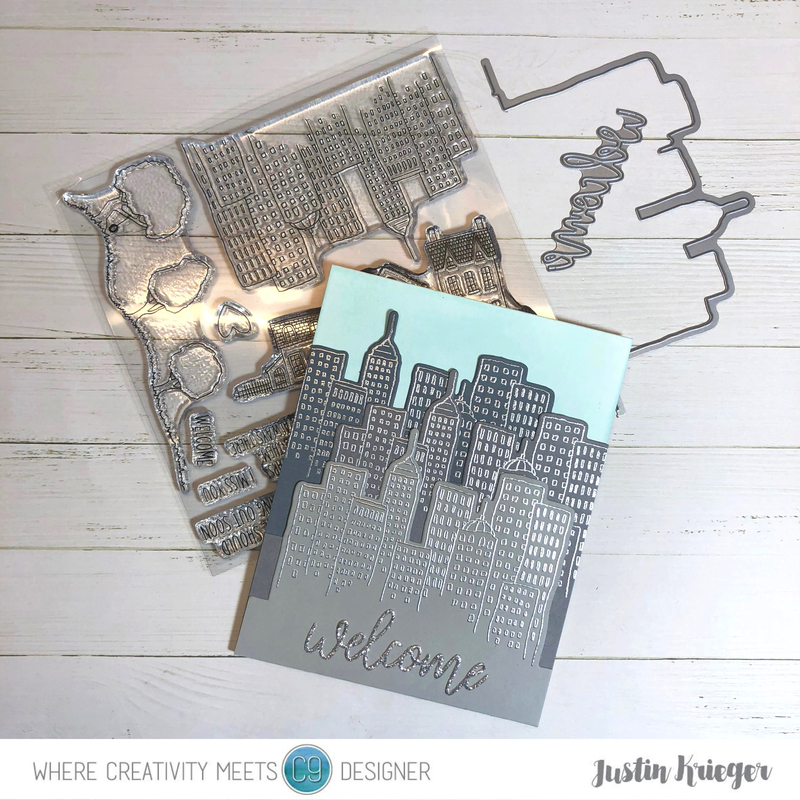 This entry was posted in Blog, Cards, Concord & 9th, Crafts, Embellishments, Embossing, Hero Arts, Photopolymer, Stamps, Where Creativity Meets Concord & 9th and tagged Card Making, Concord & 9th, Crafts, Hero Arts, WCMC&9. Bookmark the permalink. Wow!! Awesome card! This is right up your alley Justin. I’ve been missing seeing your wonderful creations, Justin. Glad to see you’re back with a spectacular cityscape. Love the different grays with the embossing. I hope things are going well with you and your family. Take care and enjoy your day, my friend.